AMG®–Aufrecht Melcher Großaspach–are the three most powerful letters in the automotive world. As Utah’s newest Certified AMG® Performance Center, Mercedes-Benz of Draper is proud to offer our clients a unique brand experience, starting with our innovative AMG® PowerWall®. We will also offer AMG® clients fascinating driving experiences and events, access to exclusive information, and other AMG® lifestyle possibilities that highlight the passionate nature of their vehicles. enhancements for instant response. Increased turbo boost puts its 384 lb-ft of torque on tap at just 2,000 rpm, for a 0-60 time of just 4.6 seconds. Rapid-multispark ignition and high-pressure Direct Injection act with millisecond speed and molecular precision. Beneath its red engine cover, a lightweight diecast-alloy block, variable valve timing and reduced friction further raise efficiency and performance. 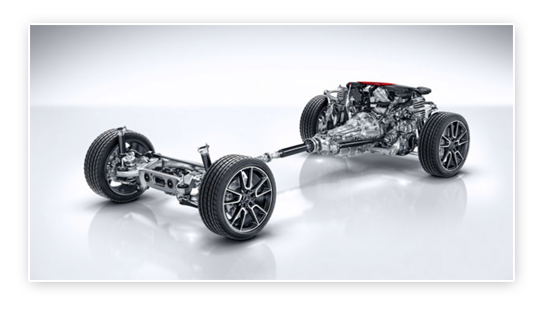 AMG® has developed a version of 4MATIC® that obliterates every notion concerning the performance potential of all-wheel drive. A 31:69 front/rear torque split assures an ideal balance of power delivery under hard acceleration and coming out of corners. In the Sport handling mode of the multistage ESP®, Torque Vectoring Brake further helps to prevent unwanted understeer. In every driving condition, AMG® Performance 4MATIC® enhances grip and acceleration while preserving agility and driving fun. Delivers 24 Highway MPG and 18 City MPG! This Mercedes-Benz GLC delivers a Twin Turbo Premium Unleaded V-6 3.0 L/183 engine powering this Automatic transmission. Window Grid Antenna, Wheels: 20 AMG® Multi-Spoke w/Black Accents -inc: All-Season Tires, Valet Function. * This Mercedes-Benz GLC Features the Following Options *Urethane Gear Shift Knob, Turn-By-Turn Navigation Directions, Trunk/Hatch Auto-Latch, Trip Computer, Transmission: AMG® SPEEDSHIFT® TCT 9-Speed Automatic -inc: DYNAMIC SELECT, Transmission w/TouchShift Sequential Shift Control w/Steering Wheel Controls, Tracker System, Towing Equipment -inc: Trailer Sway Control, Tires: P255/45R20 Fr & P285/40R20 Rr, Tire Specific Low Tire Pressure Warning. * Stop By Today *Test drive this must-see, must-drive, must-own beauty today at Mercedes-Benz of Draper, 11548 S Lone Park Parkway, Draper, UT 84020.Delivers 24 Highway MPG and 18 City MPG! This Mercedes-Benz GLC delivers a Twin Turbo Premium Unleaded V-6 3.0 L/183 engine powering this Automatic transmission. Window Grid Antenna, Wheels: 20 AMG® Multi-Spoke w/Black Accents -inc: All-Season Tires, Valet Function. * This Mercedes-Benz GLC Features the Following Options *Urethane Gear Shift Knob, Turn-By-Turn Navigation Directions, Trunk/Hatch Auto-Latch, Trip Computer, Transmission: AMG® SPEEDSHIFT® TCT 9-Speed Automatic -inc: DYNAMIC SELECT, Transmission w/TouchShift Sequential Shift Control w/Steering Wheel Controls, Tracker System, Towing Equipment -inc: Trailer Sway Control, Tires: P255/45R20 Fr & P285/40R20 Rr, Tire Specific Low Tire Pressure Warning. * Stop By Today *Test drive this must-see, must-drive, must-own beauty today at Mercedes-Benz of Draper, 11548 S Lone Park Parkway, Draper, UT 84020. Scores 24 Highway MPG and 18 City MPG! This Mercedes-Benz GLC delivers a Twin Turbo Premium Unleaded V-6 3.0 L/183 engine powering this Automatic transmission. Window Grid Antenna, Wheels: 20 AMG® Multi-Spoke w/Black Accents -inc: All-Season Tires, Valet Function. *This Mercedes-Benz GLC Comes Equipped with These Options *Urethane Gear Shift Knob, Turn-By-Turn Navigation Directions, Trunk/Hatch Auto-Latch, Trip Computer, Transmission: AMG® SPEEDSHIFT® TCT 9-Speed Automatic -inc: DYNAMIC SELECT, Transmission w/TouchShift Sequential Shift Control w/Steering Wheel Controls, Tracker System, Towing Equipment -inc: Trailer Sway Control, Tires: P255/45R20 Fr & P285/40R20 Rr, Tire Specific Low Tire Pressure Warning. * Stop By Today *For a must-own Mercedes-Benz GLC come see us at Mercedes-Benz of Draper, 11548 S Lone Park Parkway, Draper, UT 84020. Just minutes away!Scores 24 Highway MPG and 18 City MPG! This Mercedes-Benz GLC delivers a Twin Turbo Premium Unleaded V-6 3.0 L/183 engine powering this Automatic transmission. Window Grid Antenna, Wheels: 20 AMG® Multi-Spoke w/Black Accents -inc: All-Season Tires, Valet Function. *This Mercedes-Benz GLC Comes Equipped with These Options *Urethane Gear Shift Knob, Turn-By-Turn Navigation Directions, Trunk/Hatch Auto-Latch, Trip Computer, Transmission: AMG® SPEEDSHIFT® TCT 9-Speed Automatic -inc: DYNAMIC SELECT, Transmission w/TouchShift Sequential Shift Control w/Steering Wheel Controls, Tracker System, Towing Equipment -inc: Trailer Sway Control, Tires: P255/45R20 Fr & P285/40R20 Rr, Tire Specific Low Tire Pressure Warning. * Stop By Today *For a must-own Mercedes-Benz GLC come see us at Mercedes-Benz of Draper, 11548 S Lone Park Parkway, Draper, UT 84020. Just minutes away! Boasts 27 Highway MPG and 19 City MPG! This Mercedes-Benz C-Class delivers a Twin Turbo Premium Unleaded V-6 3.0 L/183 engine powering this Automatic transmission. Window Grid Antenna, Wheels: 18 5-Spoke, Valet Function. *This Mercedes-Benz C-Class Comes Equipped with These Options *Urethane Gear Shift Knob, Turn-By-Turn Navigation Directions, Trunk/Hatch Auto-Latch, Trip Computer, Transmission: 9-Speed AMG® SPEEDSHIFT® TCT Automatic -inc: paddle shifters, Transmission w/Oil Cooler, Tires: 225/45R18 Fr & 245/40R18 Rr AS Run-Flat, Tire Specific Low Tire Pressure Warning, Systems Monitor, Strut Front Suspension w/Coil Springs. * Stop By Today *Test drive this must-see, must-drive, must-own beauty today at Mercedes-Benz of Draper, 11548 S Lone Park Parkway, Draper, UT 84020.Boasts 27 Highway MPG and 19 City MPG! This Mercedes-Benz C-Class delivers a Twin Turbo Premium Unleaded V-6 3.0 L/183 engine powering this Automatic transmission. Window Grid Antenna, Wheels: 18 5-Spoke, Valet Function. *This Mercedes-Benz C-Class Comes Equipped with These Options *Urethane Gear Shift Knob, Turn-By-Turn Navigation Directions, Trunk/Hatch Auto-Latch, Trip Computer, Transmission: 9-Speed AMG® SPEEDSHIFT® TCT Automatic -inc: paddle shifters, Transmission w/Oil Cooler, Tires: 225/45R18 Fr & 245/40R18 Rr AS Run-Flat, Tire Specific Low Tire Pressure Warning, Systems Monitor, Strut Front Suspension w/Coil Springs. * Stop By Today *Test drive this must-see, must-drive, must-own beauty today at Mercedes-Benz of Draper, 11548 S Lone Park Parkway, Draper, UT 84020. Delivers 27 Highway MPG and 19 City MPG! This Mercedes-Benz C-Class delivers a Twin Turbo Premium Unleaded V-6 3.0 L/183 engine powering this Automatic transmission. Window Grid Antenna, Wheels: 18 5-Spoke, Valet Function. *This Mercedes-Benz C-Class Comes Equipped with These Options *Urethane Gear Shift Knob, Turn-By-Turn Navigation Directions, Trunk/Hatch Auto-Latch, Trip Computer, Transmission: 9-Speed AMG® SPEEDSHIFT® TCT Automatic -inc: paddle shifters, Transmission w/Oil Cooler, Tires: 225/45R18 Fr & 245/40R18 Rr AS Run-Flat, Tire Specific Low Tire Pressure Warning, Systems Monitor, Strut Front Suspension w/Coil Springs. * Stop By Today *Stop by Mercedes-Benz of Draper located at 11548 S Lone Park Parkway, Draper, UT 84020 for a quick visit and a great vehicle!Delivers 27 Highway MPG and 19 City MPG! This Mercedes-Benz C-Class delivers a Twin Turbo Premium Unleaded V-6 3.0 L/183 engine powering this Automatic transmission. Window Grid Antenna, Wheels: 18 5-Spoke, Valet Function. *This Mercedes-Benz C-Class Comes Equipped with These Options *Urethane Gear Shift Knob, Turn-By-Turn Navigation Directions, Trunk/Hatch Auto-Latch, Trip Computer, Transmission: 9-Speed AMG® SPEEDSHIFT® TCT Automatic -inc: paddle shifters, Transmission w/Oil Cooler, Tires: 225/45R18 Fr & 245/40R18 Rr AS Run-Flat, Tire Specific Low Tire Pressure Warning, Systems Monitor, Strut Front Suspension w/Coil Springs. * Stop By Today *Stop by Mercedes-Benz of Draper located at 11548 S Lone Park Parkway, Draper, UT 84020 for a quick visit and a great vehicle! Delivers 27 Highway MPG and 19 City MPG! This Mercedes-Benz C-Class delivers a Twin Turbo Premium Unleaded V-6 3.0 L/183 engine powering this Automatic transmission. Window Grid Antenna, Wheels: 18 5-Spoke, Valet Function. *This Mercedes-Benz C-Class Comes Equipped with These Options *Urethane Gear Shift Knob, Turn-By-Turn Navigation Directions, Trunk/Hatch Auto-Latch, Trip Computer, Transmission: 9-Speed AMG® SPEEDSHIFT® TCT Automatic -inc: paddle shifters, Transmission w/Oil Cooler, Tires: 225/45R18 Fr & 245/40R18 Rr AS Run-Flat, Tire Specific Low Tire Pressure Warning, Systems Monitor, Strut Front Suspension w/Coil Springs. * Stop By Today *Come in for a quick visit at Mercedes-Benz of Draper, 11548 S Lone Park Parkway, Draper, UT 84020 to claim your Mercedes-Benz C-Class!Delivers 27 Highway MPG and 19 City MPG! This Mercedes-Benz C-Class delivers a Twin Turbo Premium Unleaded V-6 3.0 L/183 engine powering this Automatic transmission. Window Grid Antenna, Wheels: 18 5-Spoke, Valet Function. *This Mercedes-Benz C-Class Comes Equipped with These Options *Urethane Gear Shift Knob, Turn-By-Turn Navigation Directions, Trunk/Hatch Auto-Latch, Trip Computer, Transmission: 9-Speed AMG® SPEEDSHIFT® TCT Automatic -inc: paddle shifters, Transmission w/Oil Cooler, Tires: 225/45R18 Fr & 245/40R18 Rr AS Run-Flat, Tire Specific Low Tire Pressure Warning, Systems Monitor, Strut Front Suspension w/Coil Springs. * Stop By Today *Come in for a quick visit at Mercedes-Benz of Draper, 11548 S Lone Park Parkway, Draper, UT 84020 to claim your Mercedes-Benz C-Class! Delivers 28 Highway MPG and 22 City MPG! This Mercedes-Benz GLA boasts a Intercooled Turbo Premium Unleaded I-4 2.0 L/121 engine powering this Automatic transmission. Window Grid Antenna, Wheels: 20 Multi-Spoke, Trunk/Hatch Auto-Latch. *This Mercedes-Benz GLA Comes Equipped with These Options *Trip Computer, Transmission: 7-Speed AMG® SPEEDSHIFT® DCT Automatic, Transmission w/Oil Cooler, Tracker System, Tires: P235/40R20 High-Performance, Tire Specific Low Tire Pressure Warning, Systems Monitor, Strut Front Suspension w/Coil Springs, Streaming Audio, Sport Tuned Suspension. * Visit Us Today *Come in for a quick visit at Mercedes-Benz of Draper, 11548 S Lone Park Parkway, Draper, UT 84020 to claim your Mercedes-Benz GLA!Delivers 28 Highway MPG and 22 City MPG! This Mercedes-Benz GLA boasts a Intercooled Turbo Premium Unleaded I-4 2.0 L/121 engine powering this Automatic transmission. Window Grid Antenna, Wheels: 20 Multi-Spoke, Trunk/Hatch Auto-Latch. *This Mercedes-Benz GLA Comes Equipped with These Options *Trip Computer, Transmission: 7-Speed AMG® SPEEDSHIFT® DCT Automatic, Transmission w/Oil Cooler, Tracker System, Tires: P235/40R20 High-Performance, Tire Specific Low Tire Pressure Warning, Systems Monitor, Strut Front Suspension w/Coil Springs, Streaming Audio, Sport Tuned Suspension. * Visit Us Today *Come in for a quick visit at Mercedes-Benz of Draper, 11548 S Lone Park Parkway, Draper, UT 84020 to claim your Mercedes-Benz GLA! This Mercedes-Benz C-Class delivers a Twin Turbo Premium Unleaded V-6 3.0 L/183 engine powering this Automatic transmission. Window Grid Antenna, Wheels: 18 5-Spoke, Valet Function. *This Mercedes-Benz C-Class Comes Equipped with These Options *Urethane Gear Shift Knob, Turn-By-Turn Navigation Directions, Trunk/Hatch Auto-Latch, Trip Computer, Transmission: 9-Speed AMG® SPEEDSHIFT® TCT Automatic, Transmission w/Oil Cooler, Tires: 225/45R18 Fr & 245/40R18 Rr, Tire Specific Low Tire Pressure Warning, Systems Monitor, Strut Front Suspension w/Coil Springs. * Stop By Today *For a must-own Mercedes-Benz C-Class come see us at Mercedes-Benz of Draper, 11548 S Lone Park Parkway, Draper, UT 84020. Just minutes away!This Mercedes-Benz C-Class delivers a Twin Turbo Premium Unleaded V-6 3.0 L/183 engine powering this Automatic transmission. Window Grid Antenna, Wheels: 18 5-Spoke, Valet Function. *This Mercedes-Benz C-Class Comes Equipped with These Options *Urethane Gear Shift Knob, Turn-By-Turn Navigation Directions, Trunk/Hatch Auto-Latch, Trip Computer, Transmission: 9-Speed AMG® SPEEDSHIFT® TCT Automatic, Transmission w/Oil Cooler, Tires: 225/45R18 Fr & 245/40R18 Rr, Tire Specific Low Tire Pressure Warning, Systems Monitor, Strut Front Suspension w/Coil Springs. * Stop By Today *For a must-own Mercedes-Benz C-Class come see us at Mercedes-Benz of Draper, 11548 S Lone Park Parkway, Draper, UT 84020. Just minutes away! This Mercedes-Benz C-Class boasts a Twin Turbo Premium Unleaded V-6 3.0 L/183 engine powering this Automatic transmission. Window Grid Antenna, Wheels: 18 5-Spoke, Valet Function. *This Mercedes-Benz C-Class Comes Equipped with These Options *Urethane Gear Shift Knob, Turn-By-Turn Navigation Directions, Trunk/Hatch Auto-Latch, Trip Computer, Transmission: 9-Speed AMG® SPEEDSHIFT® TCT Automatic, Transmission w/Oil Cooler, Tires: 225/45R18 Fr & 245/40R18 Rr, Tire Specific Low Tire Pressure Warning, Systems Monitor, Strut Front Suspension w/Coil Springs. * Visit Us Today *A short visit to Mercedes-Benz of Draper located at 11548 S Lone Park Parkway, Draper, UT 84020 can get you a tried-and-true C-Class today!This Mercedes-Benz C-Class boasts a Twin Turbo Premium Unleaded V-6 3.0 L/183 engine powering this Automatic transmission. Window Grid Antenna, Wheels: 18 5-Spoke, Valet Function. *This Mercedes-Benz C-Class Comes Equipped with These Options *Urethane Gear Shift Knob, Turn-By-Turn Navigation Directions, Trunk/Hatch Auto-Latch, Trip Computer, Transmission: 9-Speed AMG® SPEEDSHIFT® TCT Automatic, Transmission w/Oil Cooler, Tires: 225/45R18 Fr & 245/40R18 Rr, Tire Specific Low Tire Pressure Warning, Systems Monitor, Strut Front Suspension w/Coil Springs. * Visit Us Today *A short visit to Mercedes-Benz of Draper located at 11548 S Lone Park Parkway, Draper, UT 84020 can get you a tried-and-true C-Class today! Scores 27 Highway MPG and 19 City MPG! This Mercedes-Benz C-Class delivers a Twin Turbo Premium Unleaded V-6 3.0 L/183 engine powering this Automatic transmission. Window Grid Antenna, Wheels: 18 5-Spoke, Valet Function. *This Mercedes-Benz C-Class Comes Equipped with These Options *Urethane Gear Shift Knob, Turn-By-Turn Navigation Directions, Trunk/Hatch Auto-Latch, Trip Computer, Transmission: 9-Speed AMG® SPEEDSHIFT® TCT Automatic -inc: paddle shifters, Transmission w/Oil Cooler, Tires: 225/45R18 Fr & 245/40R18 Rr AS Run-Flat, Tire Specific Low Tire Pressure Warning, Systems Monitor, Strut Front Suspension w/Coil Springs. * Visit Us Today *Stop by Mercedes-Benz of Draper located at 11548 S Lone Park Parkway, Draper, UT 84020 for a quick visit and a great vehicle!Scores 27 Highway MPG and 19 City MPG! This Mercedes-Benz C-Class delivers a Twin Turbo Premium Unleaded V-6 3.0 L/183 engine powering this Automatic transmission. Window Grid Antenna, Wheels: 18 5-Spoke, Valet Function. *This Mercedes-Benz C-Class Comes Equipped with These Options *Urethane Gear Shift Knob, Turn-By-Turn Navigation Directions, Trunk/Hatch Auto-Latch, Trip Computer, Transmission: 9-Speed AMG® SPEEDSHIFT® TCT Automatic -inc: paddle shifters, Transmission w/Oil Cooler, Tires: 225/45R18 Fr & 245/40R18 Rr AS Run-Flat, Tire Specific Low Tire Pressure Warning, Systems Monitor, Strut Front Suspension w/Coil Springs. * Visit Us Today *Stop by Mercedes-Benz of Draper located at 11548 S Lone Park Parkway, Draper, UT 84020 for a quick visit and a great vehicle! Delivers 29 Highway MPG and 20 City MPG! 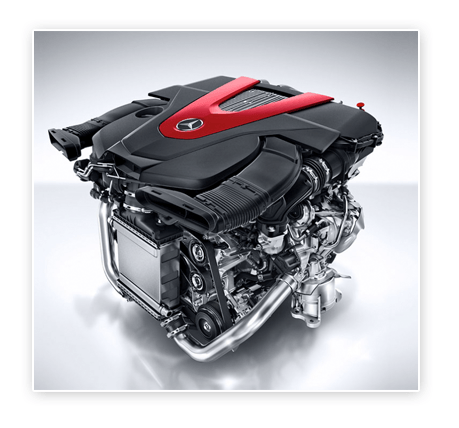 This Mercedes-Benz SLC delivers a Twin Turbo Premium Unleaded V-6 3.0 L/183 engine powering this Automatic transmission. Window Grid Antenna, Wheels: 18 AMG® Multi-Spoke w/Black Accents, Valet Function. *This Mercedes-Benz SLC Comes Equipped with These Options *Turn-By-Turn Navigation Directions, Trunk Rear Cargo Access, Trip Computer, Transmission: 9G-TRONIC Automatic, Transmission w/Driver Selectable Mode and Sequential Shift Control w/Steering Wheel Controls, Tires: 235/40 R18 Fr & 255/35 R18 Rr High Perf, Tire Specific Low Tire Pressure Warning, Tailgate/Rear Door Lock Included w/Power Door Locks, Systems Monitor, Strut Front Suspension w/Coil Springs. * Visit Us Today *Come in for a quick visit at Mercedes-Benz of Draper, 11548 S Lone Park Parkway, Draper, UT 84020 to claim your Mercedes-Benz SLC!Delivers 29 Highway MPG and 20 City MPG! This Mercedes-Benz SLC delivers a Twin Turbo Premium Unleaded V-6 3.0 L/183 engine powering this Automatic transmission. Window Grid Antenna, Wheels: 18 AMG® Multi-Spoke w/Black Accents, Valet Function. *This Mercedes-Benz SLC Comes Equipped with These Options *Turn-By-Turn Navigation Directions, Trunk Rear Cargo Access, Trip Computer, Transmission: 9G-TRONIC Automatic, Transmission w/Driver Selectable Mode and Sequential Shift Control w/Steering Wheel Controls, Tires: 235/40 R18 Fr & 255/35 R18 Rr High Perf, Tire Specific Low Tire Pressure Warning, Tailgate/Rear Door Lock Included w/Power Door Locks, Systems Monitor, Strut Front Suspension w/Coil Springs. * Visit Us Today *Come in for a quick visit at Mercedes-Benz of Draper, 11548 S Lone Park Parkway, Draper, UT 84020 to claim your Mercedes-Benz SLC! Boasts 24 Highway MPG and 18 City MPG! This Mercedes-Benz GLC delivers a Twin Turbo Premium Unleaded V-6 3.0 L/183 engine powering this Automatic transmission. Window Grid Antenna, Wheels: 20 AMG® Multi-Spoke w/Black Accents -inc: All-Season Tires, Valet Function. * This Mercedes-Benz GLC Features the Following Options *Urethane Gear Shift Knob, Turn-By-Turn Navigation Directions, Trunk/Hatch Auto-Latch, Trip Computer, Transmission: AMG® SPEEDSHIFT® TCT 9-Speed Automatic -inc: DYNAMIC SELECT, Transmission w/TouchShift Sequential Shift Control w/Steering Wheel Controls, Tracker System, Towing w/Trailer Sway Control, Tires: P255/45R20 Fr & P285/40R20 Rr, Tire Specific Low Tire Pressure Warning. * Stop By Today *Live a little- stop by Mercedes-Benz of Draper located at 11548 S Lone Park Parkway, Draper, UT 84020 to make this car yours today!Boasts 24 Highway MPG and 18 City MPG! This Mercedes-Benz GLC delivers a Twin Turbo Premium Unleaded V-6 3.0 L/183 engine powering this Automatic transmission. Window Grid Antenna, Wheels: 20 AMG® Multi-Spoke w/Black Accents -inc: All-Season Tires, Valet Function. * This Mercedes-Benz GLC Features the Following Options *Urethane Gear Shift Knob, Turn-By-Turn Navigation Directions, Trunk/Hatch Auto-Latch, Trip Computer, Transmission: AMG® SPEEDSHIFT® TCT 9-Speed Automatic -inc: DYNAMIC SELECT, Transmission w/TouchShift Sequential Shift Control w/Steering Wheel Controls, Tracker System, Towing w/Trailer Sway Control, Tires: P255/45R20 Fr & P285/40R20 Rr, Tire Specific Low Tire Pressure Warning. * Stop By Today *Live a little- stop by Mercedes-Benz of Draper located at 11548 S Lone Park Parkway, Draper, UT 84020 to make this car yours today! Scores 24 Highway MPG and 18 City MPG! This Mercedes-Benz GLC delivers a Twin Turbo Premium Unleaded V-6 3.0 L/183 engine powering this Automatic transmission. Window Grid Antenna, Wheels: 20 AMG® Multi-Spoke w/Black Accents -inc: All-Season Tires, Valet Function. *This Mercedes-Benz GLC Comes Equipped with These Options *Urethane Gear Shift Knob, Turn-By-Turn Navigation Directions, Trunk/Hatch Auto-Latch, Trip Computer, Transmission: 9-Speed AMG® SPEEDSHIFT® TCT -inc: DYNAMIC SELECT, Transmission w/TouchShift Sequential Shift Control w/Steering Wheel Controls, Tracker System, Towing Equipment -inc: Trailer Sway Control, Tires: P255/45R20 Fr & P285/40R20 Rr, Tire Specific Low Tire Pressure Warning. * Visit Us Today *Come in for a quick visit at Mercedes-Benz of Draper, 11548 S Lone Park Parkway, Draper, UT 84020 to claim your Mercedes-Benz GLC!Scores 24 Highway MPG and 18 City MPG! This Mercedes-Benz GLC delivers a Twin Turbo Premium Unleaded V-6 3.0 L/183 engine powering this Automatic transmission. Window Grid Antenna, Wheels: 20 AMG® Multi-Spoke w/Black Accents -inc: All-Season Tires, Valet Function. *This Mercedes-Benz GLC Comes Equipped with These Options *Urethane Gear Shift Knob, Turn-By-Turn Navigation Directions, Trunk/Hatch Auto-Latch, Trip Computer, Transmission: 9-Speed AMG® SPEEDSHIFT® TCT -inc: DYNAMIC SELECT, Transmission w/TouchShift Sequential Shift Control w/Steering Wheel Controls, Tracker System, Towing Equipment -inc: Trailer Sway Control, Tires: P255/45R20 Fr & P285/40R20 Rr, Tire Specific Low Tire Pressure Warning. * Visit Us Today *Come in for a quick visit at Mercedes-Benz of Draper, 11548 S Lone Park Parkway, Draper, UT 84020 to claim your Mercedes-Benz GLC! Scores 24 Highway MPG and 18 City MPG! This Mercedes-Benz GLC boasts a Twin Turbo Premium Unleaded V-6 3.0 L/183 engine powering this Automatic transmission. Window Grid Antenna, Wheels: 20 AMG® Multi-Spoke w/Black Accents -inc: All-Season Tires, Valet Function. *This Mercedes-Benz GLC Comes Equipped with These Options *Urethane Gear Shift Knob, Turn-By-Turn Navigation Directions, Trunk/Hatch Auto-Latch, Trip Computer, Transmission: 9-Speed AMG® SPEEDSHIFT® TCT -inc: DYNAMIC SELECT, Transmission w/TouchShift Sequential Shift Control w/Steering Wheel Controls, Tracker System, Towing w/Trailer Sway Control, Tires: P255/45R20 Fr & P285/40R20 Rr, Tire Specific Low Tire Pressure Warning. * Visit Us Today *Live a little- stop by Mercedes-Benz of Draper located at 11548 S Lone Park Parkway, Draper, UT 84020 to make this car yours today!Scores 24 Highway MPG and 18 City MPG! This Mercedes-Benz GLC boasts a Twin Turbo Premium Unleaded V-6 3.0 L/183 engine powering this Automatic transmission. Window Grid Antenna, Wheels: 20 AMG® Multi-Spoke w/Black Accents -inc: All-Season Tires, Valet Function. *This Mercedes-Benz GLC Comes Equipped with These Options *Urethane Gear Shift Knob, Turn-By-Turn Navigation Directions, Trunk/Hatch Auto-Latch, Trip Computer, Transmission: 9-Speed AMG® SPEEDSHIFT® TCT -inc: DYNAMIC SELECT, Transmission w/TouchShift Sequential Shift Control w/Steering Wheel Controls, Tracker System, Towing w/Trailer Sway Control, Tires: P255/45R20 Fr & P285/40R20 Rr, Tire Specific Low Tire Pressure Warning. * Visit Us Today *Live a little- stop by Mercedes-Benz of Draper located at 11548 S Lone Park Parkway, Draper, UT 84020 to make this car yours today! Scores 24 Highway MPG and 18 City MPG! This Mercedes-Benz GLC delivers a Twin Turbo Premium Unleaded V-6 3.0 L/183 engine powering this Automatic transmission. Window Grid Antenna, Wheels: 20 AMG® Multi-Spoke w/Black Accents -inc: All-Season Tires, Valet Function. * This Mercedes-Benz GLC Features the Following Options *Urethane Gear Shift Knob, Turn-By-Turn Navigation Directions, Trunk/Hatch Auto-Latch, Trip Computer, Transmission: 9-Speed AMG® SPEEDSHIFT® TCT -inc: DYNAMIC SELECT, Transmission w/TouchShift Sequential Shift Control w/Steering Wheel Controls, Tracker System, Towing w/Trailer Sway Control, Tires: P255/45R20 Fr & P285/40R20 Rr, Tire Specific Low Tire Pressure Warning. * Stop By Today *Come in for a quick visit at Mercedes-Benz of Draper, 11548 S Lone Park Parkway, Draper, UT 84020 to claim your Mercedes-Benz GLC!Scores 24 Highway MPG and 18 City MPG! This Mercedes-Benz GLC delivers a Twin Turbo Premium Unleaded V-6 3.0 L/183 engine powering this Automatic transmission. Window Grid Antenna, Wheels: 20 AMG® Multi-Spoke w/Black Accents -inc: All-Season Tires, Valet Function. * This Mercedes-Benz GLC Features the Following Options *Urethane Gear Shift Knob, Turn-By-Turn Navigation Directions, Trunk/Hatch Auto-Latch, Trip Computer, Transmission: 9-Speed AMG® SPEEDSHIFT® TCT -inc: DYNAMIC SELECT, Transmission w/TouchShift Sequential Shift Control w/Steering Wheel Controls, Tracker System, Towing w/Trailer Sway Control, Tires: P255/45R20 Fr & P285/40R20 Rr, Tire Specific Low Tire Pressure Warning. * Stop By Today *Come in for a quick visit at Mercedes-Benz of Draper, 11548 S Lone Park Parkway, Draper, UT 84020 to claim your Mercedes-Benz GLC! Boasts 26 Highway MPG and 19 City MPG! This Mercedes-Benz C-Class delivers a Twin Turbo Premium Unleaded V-6 3.0 L/183 engine powering this Automatic transmission. Window Grid Antenna, Wheels: 18 AMG® 5-Spoke, Valet Function. * This Mercedes-Benz C-Class Features the Following Options *Urethane Gear Shift Knob, Turn-By-Turn Navigation Directions, Trunk Rear Cargo Access, Trip Computer, Transmission: 9-Speed AMG® SPEEDSHIFT® TCT Automatic -inc: paddle shifters, Transmission w/Oil Cooler, Tires: 225/45R18 Fr & 245/40R18 Rr AS Run-Flat -inc: Extended Mobility Tires, Tire Specific Low Tire Pressure Warning, Systems Monitor, Strut Front Suspension w/Coil Springs. * Stop By Today *Come in for a quick visit at Mercedes-Benz of Draper, 11548 S Lone Park Parkway, Draper, UT 84020 to claim your Mercedes-Benz C-Class!Boasts 26 Highway MPG and 19 City MPG! This Mercedes-Benz C-Class delivers a Twin Turbo Premium Unleaded V-6 3.0 L/183 engine powering this Automatic transmission. Window Grid Antenna, Wheels: 18 AMG® 5-Spoke, Valet Function. * This Mercedes-Benz C-Class Features the Following Options *Urethane Gear Shift Knob, Turn-By-Turn Navigation Directions, Trunk Rear Cargo Access, Trip Computer, Transmission: 9-Speed AMG® SPEEDSHIFT® TCT Automatic -inc: paddle shifters, Transmission w/Oil Cooler, Tires: 225/45R18 Fr & 245/40R18 Rr AS Run-Flat -inc: Extended Mobility Tires, Tire Specific Low Tire Pressure Warning, Systems Monitor, Strut Front Suspension w/Coil Springs. * Stop By Today *Come in for a quick visit at Mercedes-Benz of Draper, 11548 S Lone Park Parkway, Draper, UT 84020 to claim your Mercedes-Benz C-Class! This Mercedes-Benz C-Class boasts a Twin Turbo Premium Unleaded V-6 3.0 L/183 engine powering this Automatic transmission. Window Grid Antenna, Wheels: 18 5-Spoke, Valet Function. * This Mercedes-Benz C-Class Features the Following Options *Urethane Gear Shift Knob, Turn-By-Turn Navigation Directions, Trunk/Hatch Auto-Latch, Trip Computer, Transmission: 9-Speed AMG® SPEEDSHIFT® TCT Automatic, Transmission w/Oil Cooler, Tires: 225/45R18 Fr & 245/40R18 Rr, Tire Specific Low Tire Pressure Warning, Systems Monitor, Strut Front Suspension w/Coil Springs. 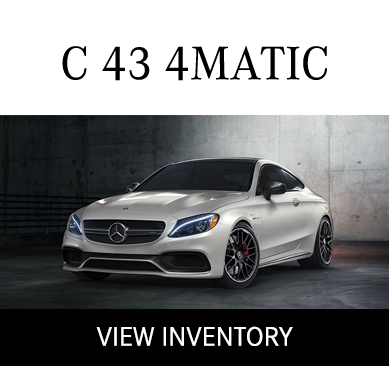 * Visit Us Today *Test drive this must-see, must-drive, must-own beauty today at Mercedes-Benz of Draper, 11548 S Lone Park Parkway, Draper, UT 84020.This Mercedes-Benz C-Class boasts a Twin Turbo Premium Unleaded V-6 3.0 L/183 engine powering this Automatic transmission. Window Grid Antenna, Wheels: 18 5-Spoke, Valet Function. * This Mercedes-Benz C-Class Features the Following Options *Urethane Gear Shift Knob, Turn-By-Turn Navigation Directions, Trunk/Hatch Auto-Latch, Trip Computer, Transmission: 9-Speed AMG® SPEEDSHIFT® TCT Automatic, Transmission w/Oil Cooler, Tires: 225/45R18 Fr & 245/40R18 Rr, Tire Specific Low Tire Pressure Warning, Systems Monitor, Strut Front Suspension w/Coil Springs. * Visit Us Today *Test drive this must-see, must-drive, must-own beauty today at Mercedes-Benz of Draper, 11548 S Lone Park Parkway, Draper, UT 84020. Boasts 26 Highway MPG and 19 City MPG! This Mercedes-Benz C-Class boasts a Twin Turbo Premium Unleaded V-6 3.0 L/183 engine powering this Automatic transmission. Window Grid Antenna, Wheels: 18 AMG® 5-Spoke, Valet Function. * This Mercedes-Benz C-Class Features the Following Options *Urethane Gear Shift Knob, Turn-By-Turn Navigation Directions, Trunk Rear Cargo Access, Trip Computer, Transmission: 9-Speed AMG® SPEEDSHIFT® TCT Automatic -inc: paddle shifters, Transmission w/Oil Cooler, Tires: 225/45R18 Fr & 245/40R18 Rr AS Run-Flat -inc: Extended Mobility Tires, Tire Specific Low Tire Pressure Warning, Systems Monitor, Strut Front Suspension w/Coil Springs. * Stop By Today *A short visit to Mercedes-Benz of Draper located at 11548 S Lone Park Parkway, Draper, UT 84020 can get you a dependable C-Class today!Boasts 26 Highway MPG and 19 City MPG! This Mercedes-Benz C-Class boasts a Twin Turbo Premium Unleaded V-6 3.0 L/183 engine powering this Automatic transmission. Window Grid Antenna, Wheels: 18 AMG® 5-Spoke, Valet Function. * This Mercedes-Benz C-Class Features the Following Options *Urethane Gear Shift Knob, Turn-By-Turn Navigation Directions, Trunk Rear Cargo Access, Trip Computer, Transmission: 9-Speed AMG® SPEEDSHIFT® TCT Automatic -inc: paddle shifters, Transmission w/Oil Cooler, Tires: 225/45R18 Fr & 245/40R18 Rr AS Run-Flat -inc: Extended Mobility Tires, Tire Specific Low Tire Pressure Warning, Systems Monitor, Strut Front Suspension w/Coil Springs. * Stop By Today *A short visit to Mercedes-Benz of Draper located at 11548 S Lone Park Parkway, Draper, UT 84020 can get you a dependable C-Class today!